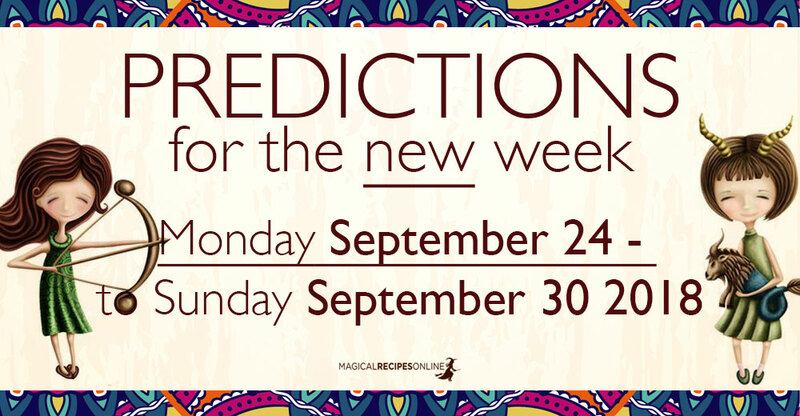 General Predictions for the New Week: This is probably one of the most Powerful Weeks of the Whole Year as today begins with a conjoined energy coming from both the Equinox and the Full Harvest Moon. So this is going to be a Week, to Remember! The Power of the Equinox will Reset all the Chaos that happened in the previous six months along with much of the energy of the Eclipses. Thankfully, we have got so much to celebrate. Now it’s time to set our boundaries and learn to fight for what we’ve already succeeded in. Thankfully Saturn in Capricorn is now in the best position possible and things are not going to be as messy as one would expect. 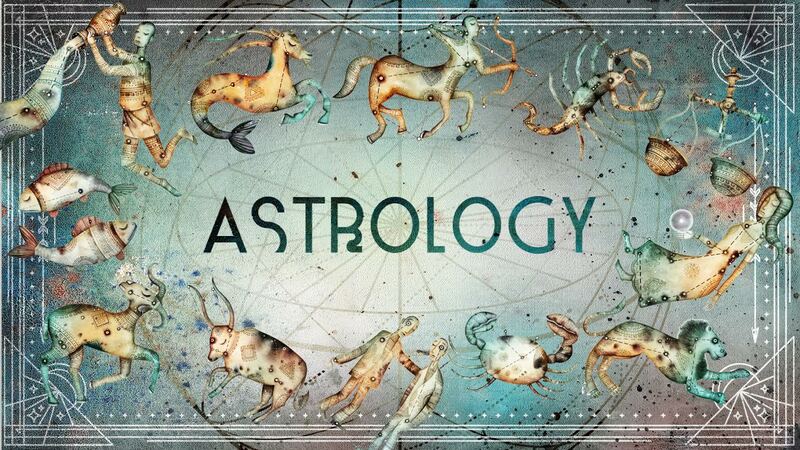 However, it is extremelely important for Aries , Cancer, Libra and Capricorn to understand that liberation costs and we should be ready to pay the price. Moreover, Jupiter’s Sextile with Pluto in Capricorn will empower our dreams and find a way to manifest our deepest desires. Since Mars is now in Aquarius, Gemini and Libra will be affected in a very interesting way along with Sagittarius and Aries. And when i say interesting, i mean good-interesting! However, Leo should be more careful, making sure to guide their anxiety in a creative way and not choosing self-destruction! It goes without saying that both Sun and Saturn will push you towards taking very serious decisions involving your personal and professional relationships. This will probably happen because of the increased responsibilities that you daily have to face at work. On the other hand, this challenges may be a great opportunity for you to thrive because your Governor receives a great influence from Mercury. Use your mind and avoid quarrels. Your Tarot Card of the Day can reveal so much more. Check it here for free. It feels that you are being reborn from your ashes as the Moon Aries wakes up your intuitive powers which you thought were sleeping for a very long time. Lethargy is ending and the power has been awakened. However, secrets are being revealed and healing comes towards. Your intuition is working overtime and there is probably a very good reason. Your Tarot Card of the Day can reveal so much more. Check it here for free. 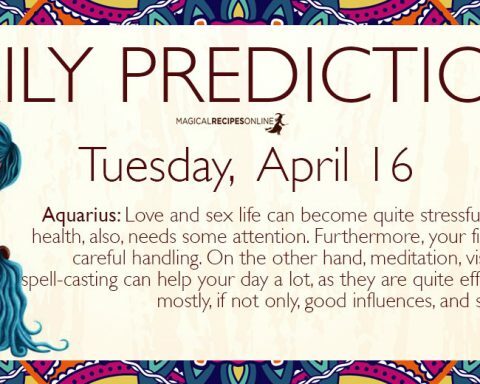 A very interesting week begins for you. For starters, you will have the chance to succeed in more goals that you initially expected. You see, your governor is activated by Mars and the passion co-operates with your bright mind. As a result you intuitively find wonderful solutions for problems that have been messing with your life the past years. Also, due to the power of the Harvest Full Moon, you attract new and powerful friends making everything accessible for you in your social circles. Your Tarot Card of the Day can reveal so much more. Check it here for free. The Week is marked by the energy of the Full Harvest Moon and you already feel its power. Therefore, the Full Moon is going to create a vortex of tremendous power affecting hereafter your career and your home. Be ready for important advances in these parts of your life. Change is going to come whether you asked for it or not so please try to anticipate the great tide that’s coming. Your Tarot Card of the Day can reveal so much more. Check it here for free. This New Week begins with a great deal of optimism. It will give you the chance to set new goals and dream of the future. All contacts with foreign countries and travels are extremely favoured. Moreover, you are going to feel that you need to break free from the chains that keep you down but you need to understand that these chains are made of you. Don’t give in to rage and depression. Just set yourself free and the world will follow. Need more convincing? Your Tarot Card of the Day can reveal so much more. Check it here for free. What a great new week begins for you my dear. 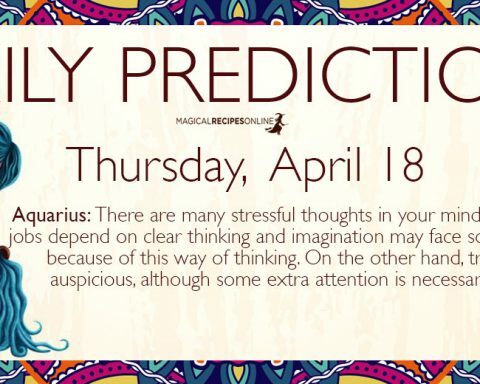 It is a very lucky influence of your Governor with Mars in Aquarius. Therefore, you are going to feel your mind working overtime with a great rate of success. It is amazing how much you can accomplish with simple and practical ideas you are going to give birth the next days. Moreover, the Full Harvest Moon promises you changes in you and your career. Get ready for interesting news! Your Tarot Card of the Day can reveal so much more. Check it here for free. Happy birthday! As from yesterday, the Sun has entered your Zodiac Sign, signifying the beginning of Autumn Equinox, the Balance of the World. It comes to a great surprise that the Moon also creates 24hours later the great Full Harvest Moon. As you can understand this is going to be a very important week for you and can help you achieve so many things especially with your personal and professional relationships. Like the Equinox, you are asked to find the balance in you and then radiate to everyone around you. Blessed be! Your Tarot Card of the Day can reveal so much more. Check it here for free. This week is a prolonged opportunity to succeed and celebrate! For starters, your powerful governor plays mental games with Mercury setting on fire your ability to create miracles. 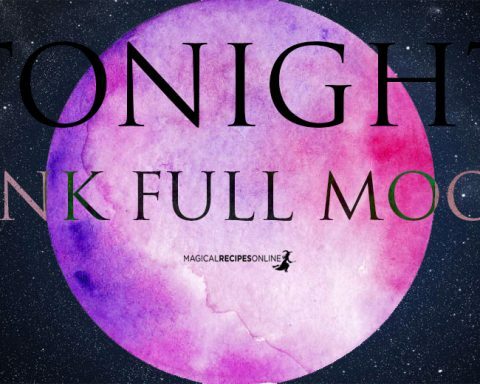 Therefore, this is a great chance for you to tap into the Harvest Full Moon’s power and direct it into your everyday life and change forever the way you interact with your habits and your daily schedule. 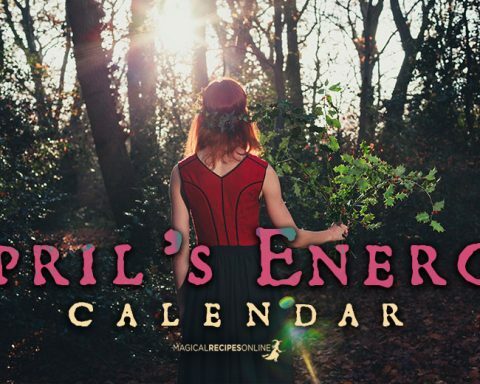 To help you more, you can try Your Daily Tarot Card. Tonight is the night that you invite happiness back in your life. Although you’ve managed to do so much the past years, now the time has come to erase the painful memories of the past. These memories which are keep producing pain and paralyse you every-time you even think of them. The Equinox will give you the chance to heal the wounds. Well, your Tarot Card of the Day can reveal so much more. Check it here for free. Today is the day that Magic can come back to your life providing you already found balance in you. To succeed in this, you have to make peace with the past and create an equilibrium between all these diverse forces that lie in your home. In other words, bring love back to your life and let it make things right in your family and home. Wake up your optimism. Your Tarot Card of the Day can reveal so much more. Check it here for free. This week begins with a sense of liberty and innovation. As the week progresses you are going to realise that power was always within your grasp. Therefore you don’t have to torture yourself anymore. Use your personal magnetism – which is stimulated by the harvest full moon – to achieve miracles. Be careful when you are traveling as it can be a source of interesting situation yet challenging as well. More spiritual advice with your Tarot Card of the Day. The new week will bring advances in most parts of your life and the Full Moon will also light the way towards a better approach to better your financial status. This is why you need to take your chances and find a way to manage your expenses in a more successful way. However, the Energy flood of Mabon + Full Harvest Moon may bring unexpected situations, so please keep calm and don’t be disappointed if something doesn’t go according to your plan. You’ll find a way! Your Tarot Card of the Day can reveal so much more. Check it here for free. Changing your love karma receives much support this week. The same goes for your appearance. Sun 29° Aries 40' 17"
Moon 07° Scorpio 15' 46"
Mercury 03° Aries 31' 42"
Venus 29° Pisces 13' 36"
Mars 13° Gemini 01' 29"
Chiron 03° Aries 28' 23"